There are a bunch of smooth stones under my lemon tree. 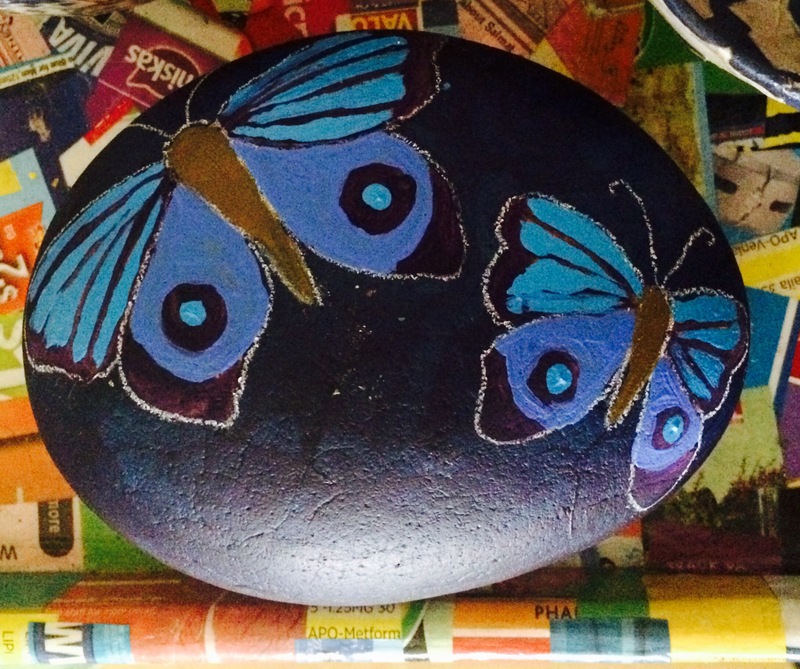 Always looking for a new project to keep me occupied, I decided to paint on some! With a bit of acrylic paint and a white pencil to add a little definition, I think these are quite effective! 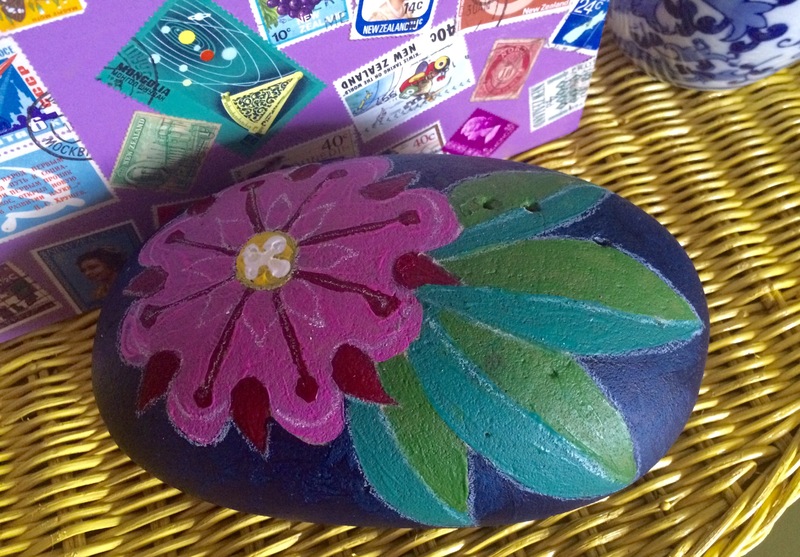 This entry was posted in Craft Projects, My Art and tagged art, craft, decor, decorative, paint, painting, stone. Bookmark the permalink. These look great! 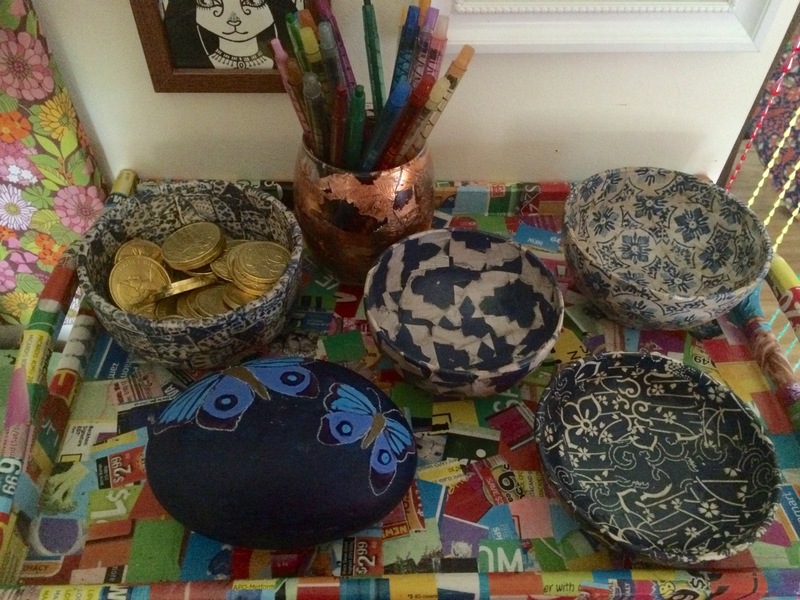 Love those little bowls in the 5th photo too! Very clever! They look awesome! What lovely memories. It goes to show that it’s the small, handmade things that mean most. It seems you have creative genes. 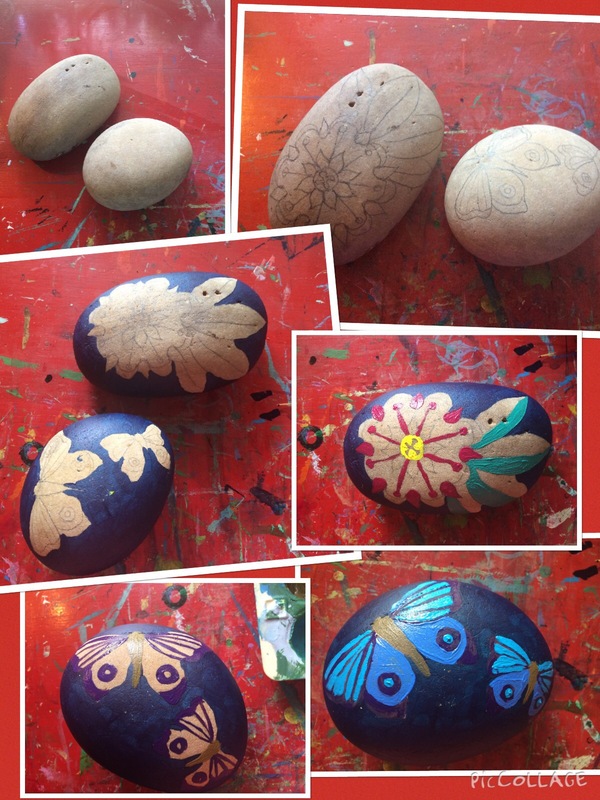 I’d like to do more stones…..maybe some smaller ones too. These are very pretty. I love your lepidoptera especially. Can you tell us more about the “white pencil?” Is that a wax pencil? I like the funky Australian tissue box, too. Are you going to make anything out of it when it’s empty? Just look at those cool graphics.. The white pencil is just that-a coloured pencil in white. It’s not even a fancy brand or anything, although most of my pencils are Derwent or Faber Castell. 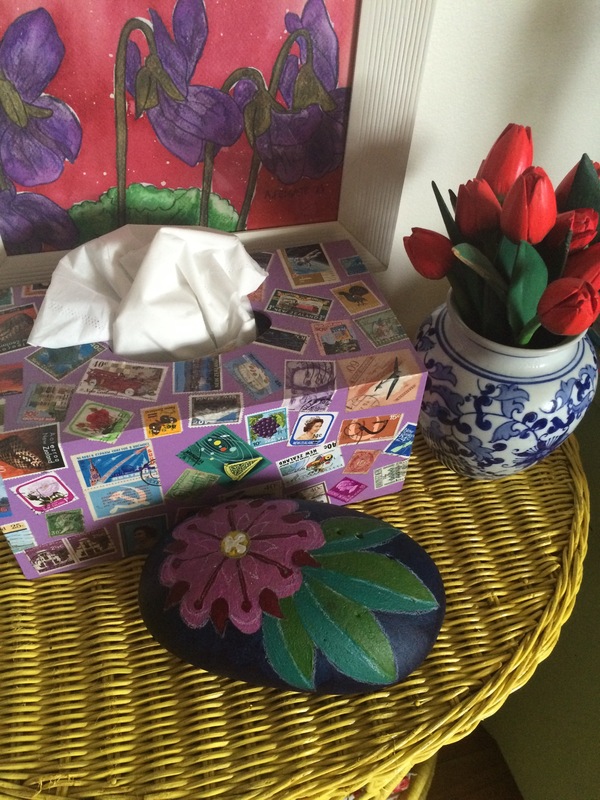 The tissue box is actually a wooden tissue box cover that I picked up at the op shop and painted purple, then decoupaged with some old stamps. Glad you like it! I think tissue box manufacturers ought to hire you to design their boxes for them. Ha! That would be the most AMAZING job!!!!! !